Ebola has already taken more than 729 lives in three countries across West Africa. The WHO has already announced a fresh list of fatalities in the last few days. 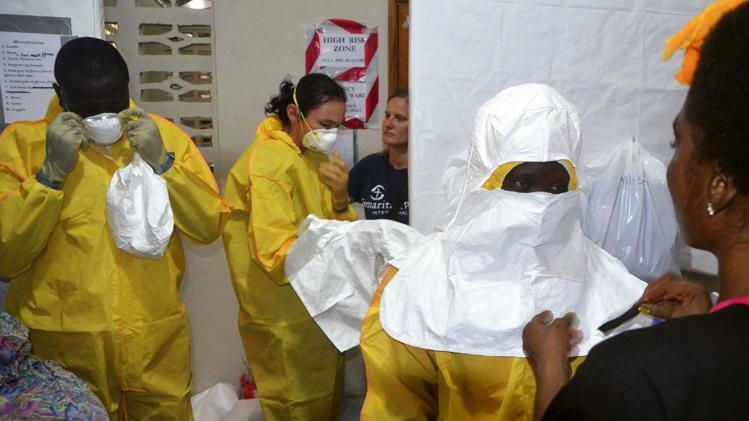 This is soon to become one of the deadliest outbreaks of Ebola in the last few decades. The situation has become virtually explosive with the government of Sierra Leone led by President Ernest Bai Koroma starting the quarantine process to prevent the spread of the disease. People are resisting government attempts to isolate the Ebola patients after house to house searches. The common ruse which is being used by the relatives of Ebola patients is that the death rates are very high in government run isolation centers. Liberia has also followed suit and has closed schools and has asked government public servants to stay at home from work. His announcement late Wednesday came as neighboring Liberia also ramped up its efforts to slow the virulent disease’s spread, shutting down schools and ordering most public servants to stay home from work. Nyenswah has been making appeals for urgent international aid with specialized medical staff that are trained to handle such virulent diseases. The disease has almost cent per cent mortality with the patients rarely surviving even with the best supportive treatment. There is still no vaccine for the disease and common anti- viral which are used for treating flu or AIDS are also not effective. The U.S. Peace Corps has also informed that it is evacuating hundreds of its volunteers in the affected countries after Two Peace Corps workers who are under isolation outside the U.S. after having contact with a person who later died of the Ebola virus, a State Department official said.